The annual PASS Summit (otherwise known as the #SQLFamily reunion) is over. Here in the United States, we have just finished celebrating Thanksgiving, where the average person consumes more calories in two hours than what they need for a week. And we are entering the season (that has now been active by merchants for months) where worldwide we try to out give (or, in merchant-speak, out-spend) everyone that we know – or at least to those that we are the closest to. There are other ways of giving also. At this time of year, we find that food banks across the nation are receiving their largest food donations from the community. Underprivileged children that would otherwise not receive any gifts are receiving some, due to the community giving to organizations such as Toys-For-Tots (http://www.toysfortots.org/default.aspx). Other organizations, such as the Salvation Army (http://www.salvationarmy.org), are seen outside many stores raising money to fund all of the giving activities that they do worldwide throughout the year. Outside of this time of year, we see over and over that whenever there is a disaster that the worldwide community responds by giving donations and resources to help out. Of course the community gives all throughout the year in many other ways. As the year wraps up, we find ourselves reminiscing about the past year, and in making resolutions for personal change for the coming year. But hey, this is a SQL Blog. What does all of this have to do with SQL? Well, I’m glad that you asked. You see, this month I’m the host for the monthly T-SQL blogging party known as T-SQL Tuesday. This party, which was started by Adam Machanic (blog|twitter) and is now starting its 6th year, is hosted by a different person each month. The host selects the theme, and then the blogging begins. Worldwide, on the second Tuesday of the month (all day, based on GMT time), bloggers attend this party by blogging about the theme. So, what theme am I selecting that I want you to blog about? Ahh, your blog post. Now is a good time to discuss how you can attend this party. First off, your blog post needs to go live between 00:00 GMT Tuesday, December 9th, 2014 and 00:00 GMT Wednesday, December 10th, 2014. 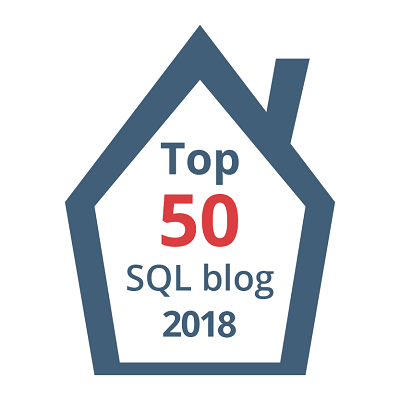 Secondly, your blog post needs to contain the T-SQL Tuesday logo image on this post, and it should link back to this post (trackbacks should work, but it’s a good idea to post a comment to this post with a link to your post). And optionally, tweet about your post using the #TSQL2sday hashtag. Okay, you have a week to think about this, and to write your blog post. After the party, I’ll post a summary of what everyone has posted. Wow, lots of posts already. Here’s my contribution. http://sqlstudies.com/2014/12/09/tsql-tuesday-61-giving-back-you-gain-more-than-you-give/ Thanks for hosting. Thanks for hosting this month! Great topic! Here is my contribution. This was a wonderful topic, thank you so much for coming up with it. Great topic Wayne. Thanks for “encouraging” me to participate. Thanks for everything Wayne. Here is my entry. #1 | Pinged by Rob Farley : Will 2015 be a big year for the SQL community? about 4 years ago. #2 | Pinged by Giving Back – Motivation Revelation | Ken Wilson about 4 years ago. #3 | Pinged by Giving Back – #TSQL2sday | SQL DBA with A Beard about 4 years ago. #4 | Pinged by T-SQL Tuesday – Giving back to the SQL Community in 2015 | Allen Kinsel – SQL DBA about 4 years ago. #5 | Pinged by T-SQL Tuesday #061 – Giving Back – T-SQL Tuesday about 2 years ago.